There is no limit to the amount of points you can have on a provisional driving licence, but when you reach 12 points or more, the matter has to go to court and the judge will decide whether to disqualify you from driving or not. This will almost certainly result in a ban and the court will decide how long the disqualification will last, based on how serious the judge considers the offence is. This is called the ‘totting up’ process which starts from 12 or more points. As a learner driver who accumulates 12 or more penalty points on a provisional driving licence, a ban will last for 6 months if all of these points are accumulated within 3 years. The judge does have the final say and can impose a lesser or harsher sentence if they feel it’s necessary. Therefore under usual conditions of law, a learner driver can accumulate no more than 11 points on a provisional licence. Any active penalty points that you have accumulated on your provisional driving licence will be transferred to your full driving licence once you have passed the test. Most points are active for 3 years but remain on your licence for 4 years. More serious driving offences will see penalty points active for 10 years, whilst remaining on your licence for 11 years. As a new driver, you’ll have a probation period of 2 years and if you accumulate 6 or more penalty points within this 2 years you will lose your licence. This means you’ll have to start right from the beginning again; apply for a provisional licence, pass the theory test and the practical driving test. Will I Get a Clean Licence if I Retake the Test? If you have had your licence revoked and have successfully passed the driving test again, any active penalty points on your old licence will be transferred to your new licence. How Long is My Driving Licence Revoked For? Having your driving licence revoked due to acquiring 6 or more penalty points within a 2 year period is not a driving ban. 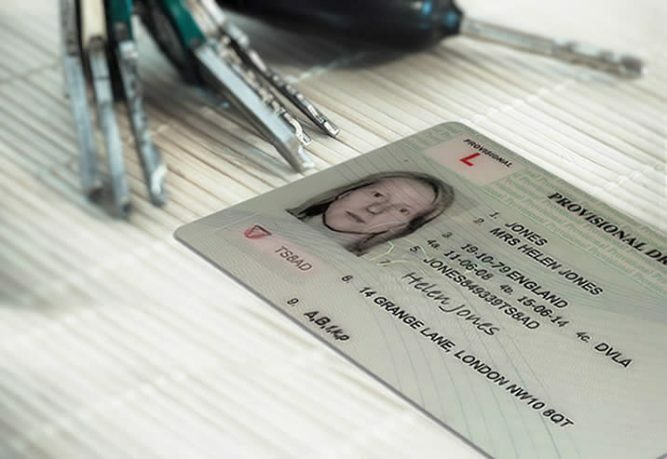 Therefore how long it takes depends on the amount of time it takes to receive a new provisional licence and to pass the theory and practical test again. What If I Have More Than 6 Penalty Points on My Provisional? All active penalty points will be transferred to your full licence. Even if this is more than 6 points, you can still pass the driving test, keep your full licence and continue to drive. But if you acquire any more points within 2 years of passing the test, you’ll lose your driving licence and have to start again. The probation period of 2 years if effective only once from the first full licence you have acquired. For example if you have passed a full motorcycle test over 2 years ago and have only just passed the car driving test, you will not have another probation period as a result of passing the car test. You would need a valid provisional licence for CBT, so you wont be able to take it until your licence is valid again.